Nationally-touring Female Comedian and Women's Speaker Leslie Norris Townsend has recently performed in: Anderson, Elizabeth, Fishers, Greencastle, Greensburg, Holton, Huntington, Indianapolis, Kokomo, New Albany, Portland, Richmond, Warren, West Lafayette, IN and other cities. Leslie Norris Townsend put on an Amazing Show! She is extremely talented & heart-warming! As she switched from singing, comedy & Improv she captivated her audience. She put her heart & soul into her performance and the audience reciprocated! We haven’t laughed that hard in a long time! She was nothing short of Fabulous! A Must See!" Leslie Norris Townsend was very funny! She really connected with our audience and gave them a night full of belly laughs! Her professionalism in working out the logistics and time constraints for our event was so very appreciated. A true gem!" Leslie Norris Townsend is a down-to-earth and consummate professional. 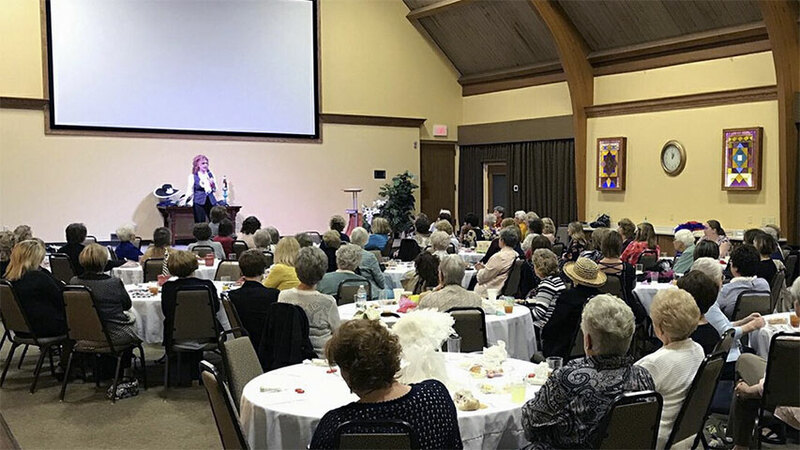 She gave a humorous and hope-filled Mother's Day presentation that filled the room with love and laughter." Leslie Norris Townsend had us rolling out of our seats!! One of the highlights of the show was the 12 Days of Christmas! She had audience participation and it was awesome! The audience really resonated with the 12 ladies who were chosen to participate in this skit. One lady told me that she hadn't laughed that hard in a very long time. Another lady told me she needed that because she was having a tough time and she needed to laugh. This was a huge success and the ladies of our church enjoyed it tremendously! Thank you, Leslie!" Leslie Norris Townsend is a one-of-a-kind entertainer! She brings such a vibrant energy with her that is sure to engage any group or crowd. Her smile lights up a room and her ability to relate with people of all walks of life is a true asset. Leslie made our event great by adding a bit of happiness and laughter into the day. If anyone is looking for someone to bring some fun to their event, I’d definitely recommend Leslie. She is a true gem to work with!" 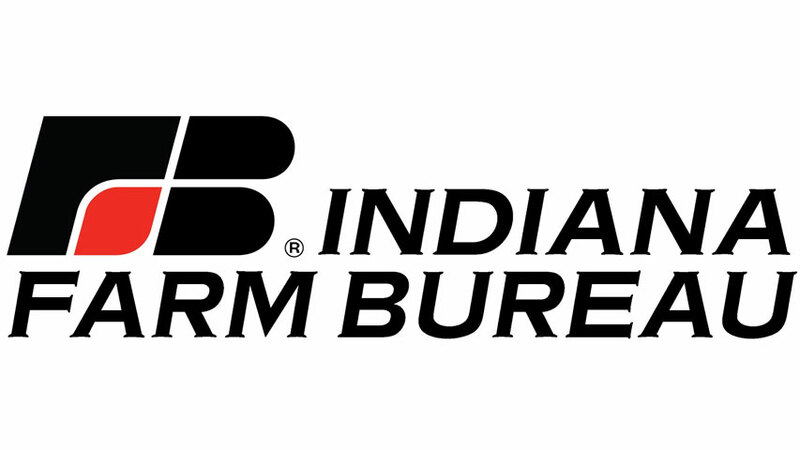 - Women’s Leadership Program Coordinator, Indiana Farm Bureau Inc.
Leslie Norris Townsend did a wonderful job. She has a very bubbly personality and was a lot of fun. Everyone enjoyed her. I've heard nothing but positive commments from our group." Leslie Norris Townsend helped make our event a success. She brought the laughter we needed. I reached out to others for feedback and received some wonderful comments - She was professional. Entertaining. Many enjoyed her program immensely." We have received nothing but excellent feedback about Leslie’s performance. She did a great job of selecting material that engaged our audience of farmers, and had a great knack at picking out “volunteers” that would be entertaining to the audience as well. One attendee called the next day to let us know how much he enjoyed the show wanted everyone involved to know “that it was refreshing to be able to laugh - and laugh hard - at something that wasn’t raunchy.” I know several in attendance are considering hiring her for entertainment at their organization’s future meetings. All of the business cards she had at the door disappeared. Thank you again for making our first customer dinner a successful one." We had Leslie Norris Townsend join us for our Women's Conference and she was awesome! Very entertaining and great at interacting with the crowd. She was also very personable! We were very pleased and look forward to the hope of having her back again in the future! Loved Her!!!" Leslie Norris Townsend did a great job. From entering the church, she was very engaging with everyone she crossed paths. Not only did her humor grab our funny bones, but Leslie also grabbed our hearts. I would highly recommend her for your special event!" Leslie Norris Townsend was exceptional! I couldn't be more pleased with her performance." Leslie Norris Townsend was excellent. We had nothing but positive comments from our guests." Leslie Norris Townsend's performance was full of laughter. Our audience enjoyed participating in her interactive presentation. If you want fun and laughter, Leslie is the one."